When we arrived in Lydd we stopped off very quickly at All Saints Church, for a quick rest on its wall. All Saints, at 199 feet in length, is Kent’s longest church. 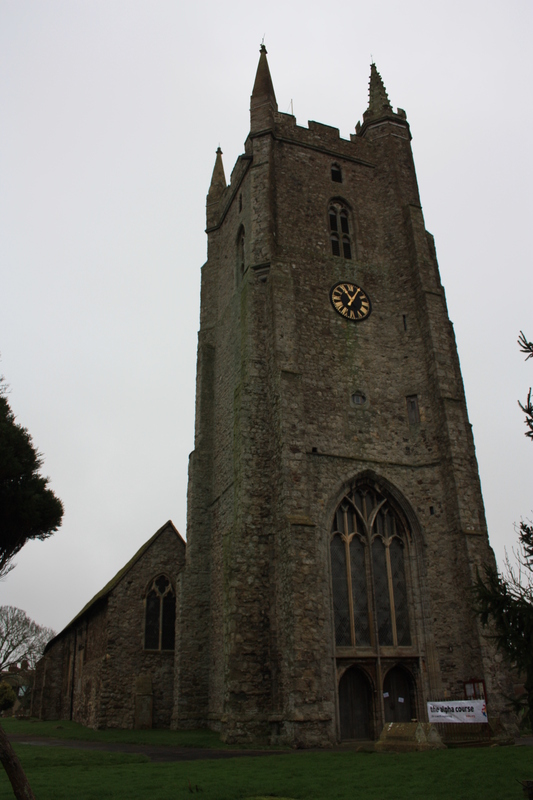 It’s tower stands at 132 feet, which also makes the church one of the tallest in the county. Thomas Wolsey, later Cardinal Wolsey and advisor to Henry VIII, was a one time rector here. Many of the graves in the churchyard are those of sailors and smugglers, drowned in the treacherous seas off this section of coast. The grave of Lieutenant Thomas Edgar, who accompanied Captain Cook on his round-the-world expedition, is also here. The Church, known as “the Cathedral of the Marsh”, took a direct hit from a bomb on 15 October 1940. The bomb stopped the church clock at the exact time of the blast, 4:07pm, although it was later repaired and is now in full working order. The church was also repaired, using the original bricks. 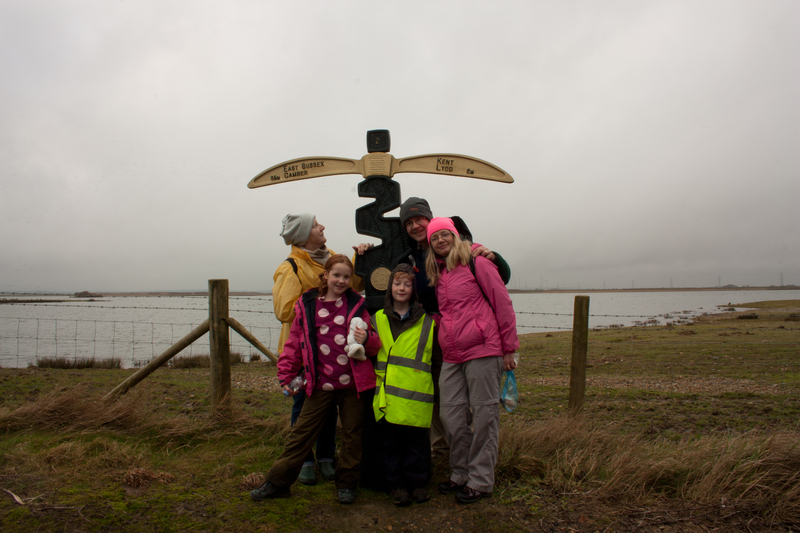 After our short rest, we headed back to the road, to walk the 4½ miles out of Lydd and back to the coast. After having undertaken a 2 mile walk into Lydd, dodging cars and buses because there was no pavement, none of us were looking forward to this stretch. 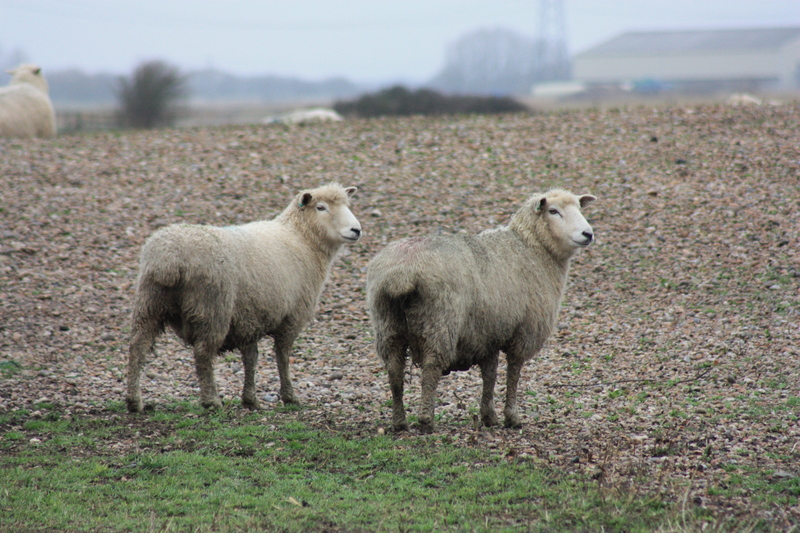 However, whilst we encountered lots of dead animals at the side of the road during our walk from Dungeness to Lydd, we encountered lots of alive animals at the side of the road during our walk from Lydd to Camber. The reason for this was because a cycle track runs parallel to the road, making for an easy and pleasant walk. The difference was really quite uplifting. 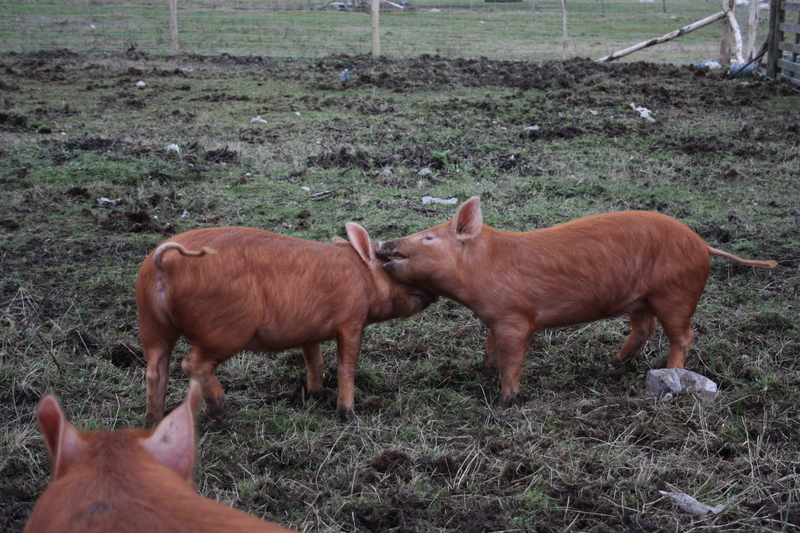 …but best of all were three little piglets. They bounded over in a state of extreme excitement and joy as we approached to see if we had any food (we didn’t). They absolutely refused to stay still for photos, and when I attempted to get a close-up they attempted to eat my camera. Aside from all the animal excitement, there was another exciting event on this stretch of the walk: we crossed from Kent into East Sussex. The occasion was marked by a signpost on the path. It was very noticeable that the path itself had one type of tarmac in Kent and another in East Sussex, a sure-fire sign that one council looked after one side and the other the other. We crossed over the line. My son lingered back, proclaiming himself the last of our group to be in Kent. Whether this was because he wanted to stay in the comfort of a familiar place, or because he wanted to distance himself from us as far as possible, I do not know. We stood in East Sussex and looked at him. He stood in Kent and looked back at us. Then, with a smile, he took a deep breath, lingered for a split second more, and hopped into East Sussex, leaving Kent behind. Managing to hitch a lift on Boxing Day after leaving our car keys 6 miles away from our car in New Romney – thank you again! All this and so much more in only 250 miles of Kentish coastline. Goodbye Kent! Hello East Sussex! 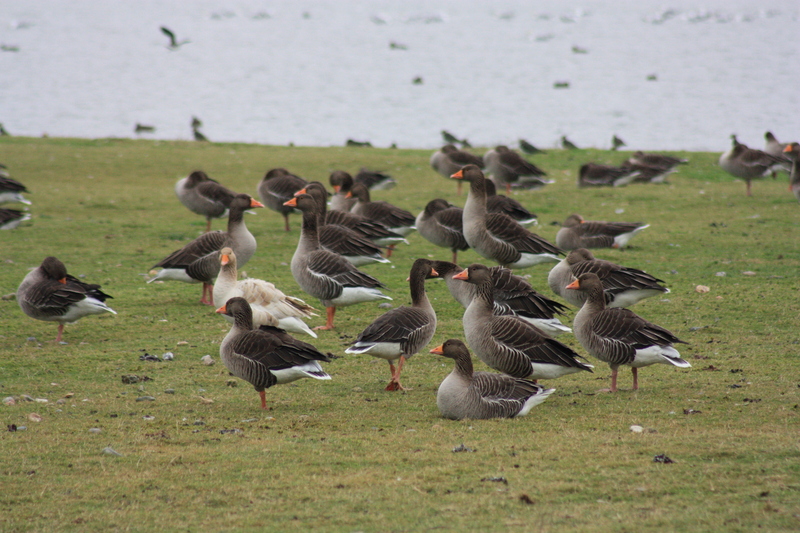 This entry was posted in East Sussex, Kent and tagged coast, East Sussex, geese, Kent, lydd, pigs, sheep, travel, walking. Bookmark the permalink. Either I’m even more unobservant than I realised or that sign at the Kent/East Sussex boundary wasn’t there just over two years ago. Either is equally possible, I suspect.